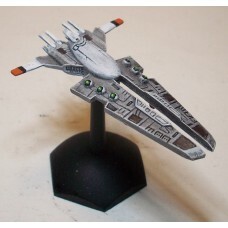 The Colonists from the far flung planet Earth have set up their Galactic Patrol and named their ship classes based upon the former national origins. 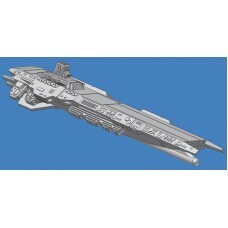 GP Africaino Destroyer 1-5/8"L x 1/2"W x 5/16"H (42.9mmL x 12mmW x 8.3mmH) 3 pieces metal; smal..
GP Australian Battleship 3-5/8"L x 3/4"W x 3/4"H (92mmL x 20mmW x 19mmH) 3 pieces metal (includ.. 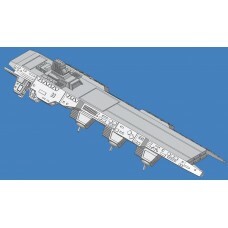 The Galactic Patrol Britannic Battleship, with Gravitic drive for interstellar travel, and Ionic d.. 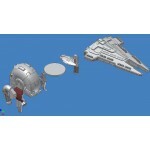 The Europa Cruiser has Gravitic drive for interstellar travel, and Ionic drive for inter-system tr..
GP Indochine Cruiser 2-1/2"L x 5/8"W x 5/8"H (63.5mmL x 16.6mmW x 15.8mmH) 3 pieces metal (incl..
GP Mongolian Cluster Frigate 2-1/16"L x 1"W x 9/16"H (52mmL x 25.4mmW x 14.3mmH) 1 piece metal..
GP Nipponese Corvette 1-3/8"L x 5/8"W x 1/2"H (35mmL x 16.8mmW x 12.4mmH) 1 piece metal..
GP Nordamerican Carrier 4-1/2"L x 1-1/16"W x 7/8"H (113.6mmL x 26.3mmW x 22.3mmH) 4 pieces meta..
GP Oceana Destroyer 1-5/8"L x 1/2"W x 5/16"H (42.9mmL x 12mmW x 8.3mmH) 3 pieces metal; large b.. 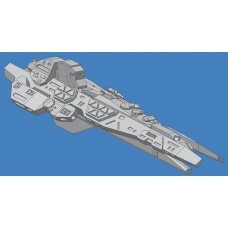 The Scandinavia Destroyer is has Gravitic drive for interstellar travel, and Ionic drive for inter..
GP Sudamerican Carrier 4-1/2"L x 1-1/16"W x 1-1/6"H (113.6mmL x 26.3mmW x 25.5mmH) 4 pieces met..
GP Sudantarctican Carrier 4-1/2"L x 1-1/16"W x 7/8"H (115.6mmL x 26.3mmW x 22.3mmH) 4 piec.. 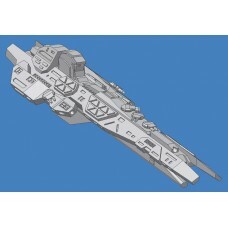 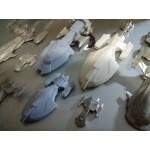 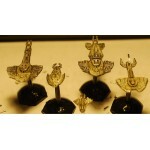 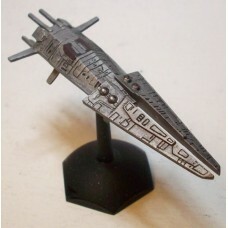 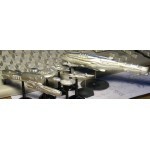 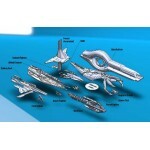 Galactic Bombers are 3/8" (9mm) long, 3 per my 1/2" Dia Versa-Base(tm).. 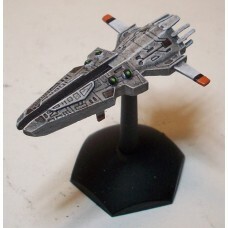 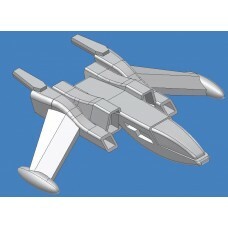 Galactic Bombers are 3/8" (9mm) long, 6 per my 1" hex Versa-Base(tm).. 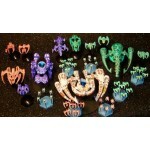 Galactic fighters are 3/8" (9mm) long, and 6 per 1" hex Versa-Base(tm)..